The Trusts are a complex matrixed organisation of 320 staff structured across 3 Trusts, 10 Services, and 11 sites. The Airedale Property Trust manages and protects the asset base of the Trusts so that support to the community can be provided now and in the future. Each Trust has a part to play in fostering family and community resilience, whether it’s through working with people and families directly or providing the supporting finances and organisational infrastructure that makes the work possible. 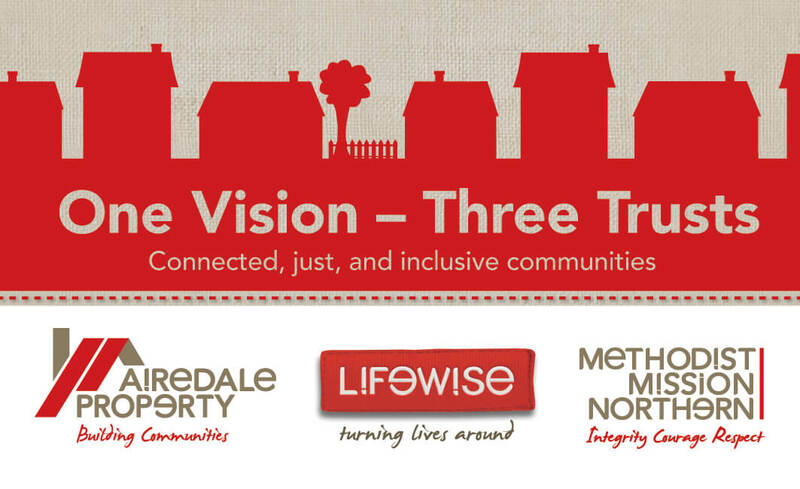 The Lifewise Trust (LIFEWISE), Airedale Property Trust (APT) and Methodist Mission Northern (MMN) have chosen to operate interdependently in order to work towards one vision of connected, just, and inclusive communities.